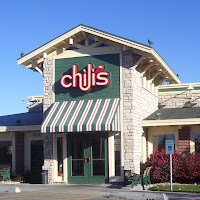 The first Chili's in India opened in Bangalore and was developed by Jawad Business Group. This restaurant is part of a 15-restaurant, five-year agreement that will expand Brinker's presence throughout India. Jawad Business Group is experienced developing other restaurant brands in India and has been a Brinker partner for several years, franchising Chili's in Bahrain and Maggiano's in Saudi Arabia. All of the menu items are tailored to the Indian culture, but styled or flavored in Tex Mex.